I love bikes, may it big or small. Been riding for the last 30+ years never been without a bike, the biggest I had is an 1100 the smallest was a 70 cub, the Honda C70. They say it the No. 1 bike according to Discovery Channel for what ever reason I don't know. I commute daily on bike, previously when I need to travel daily 200+ kilometre I use the Beemer, now the distance has significantly reduce due to my new work place for the last 4 years, I use Scooter. My old Scooter the Sym Joyride need replacing, decide to get its bigger brother The VTS 200. This Scooter is ideal for commuting its a joy to ride, very light on the pocket. I can't stand the daily traffic jam, and I feel its a waste to have only one person in a car that can carry 5 for daily commute. Driving to work is a chore and most of the time I would end up worried about schedule. I ride even when its rain cats and dogs, the only time I would stop and wait is when there is severe lightning storm, fearing on getting a strike is the reason. I ride Scooter for the last 20 years and anyone that never tried a Scooter, I surely would recommend to try one. Its the most enjoyable ride one can have. I have always had this weird fear of riding bikes. They do seem cool though. Congratulations on your new scooter, glad to know you’re enjoying it. 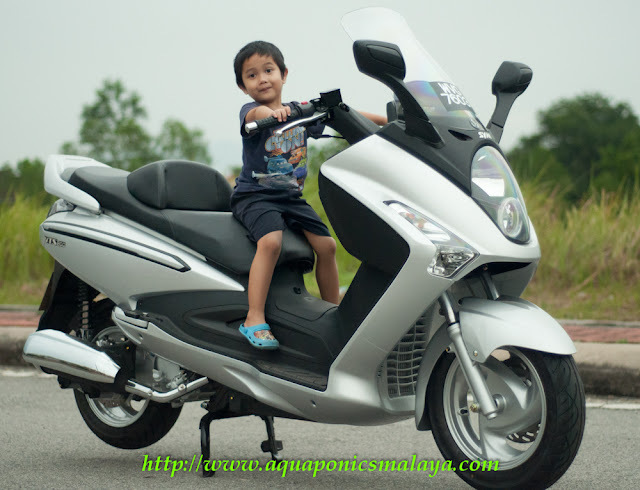 Bike is the most affordable ride for 2-3 people accommodate on it easily. It requires less space on roads and is very economical too.